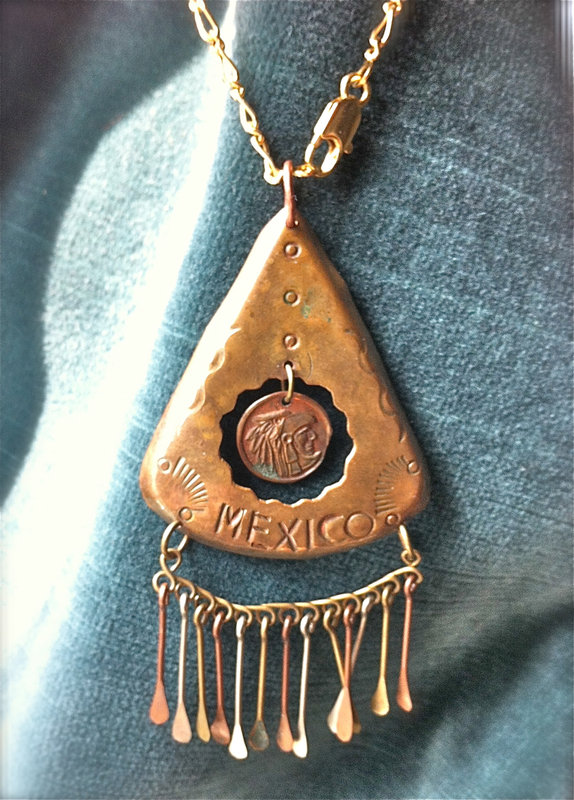 I’m not sure if this fringed copper pendant started out life as an earring or as part of a necklace, but I only have one, so necklace it is. It’s a kooky, handmade piece and I am keeping it around for inspiration. 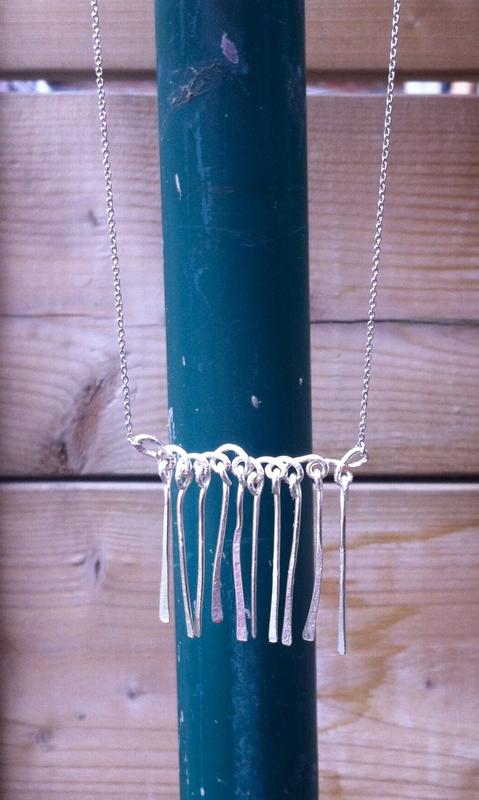 In fact, I was feeling a little creative on Monday and I made this a necklace based on just the fringe part. I call it the Scribble Fringe Necklace.